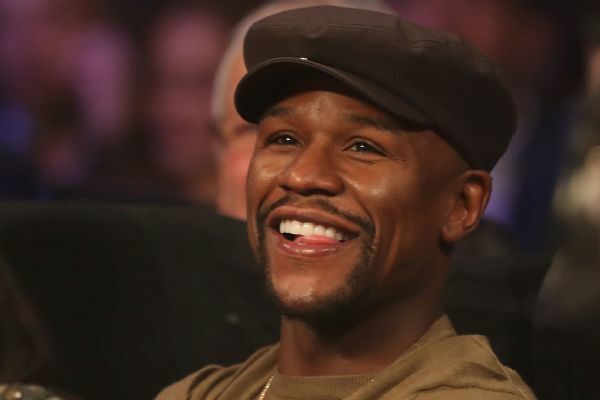 Floyd Mayweather Jr. took a few shots at UFC lightweight champion Conor McGregor through social media Wednesday night, as their feud continues to simmer with no actual fight in sight. Mayweather posted an Instagram video of McGregor tapping out to Nate Diaz from their March fight at UFC 196. The retired pound-for-pound boxing king offered $10,000 to the best caption posted about the video. The video ends with a screenshot of "49-0 vs. Connor [sic] the Notorious Quitter." Later Wednesday night, Mayweather took to Instagram Live to ridicule McGregor more, calling him "Conor McTapout" and conducting a faux interview with a man who mocked McGregor's Irish heritage. McGregor has obtained a boxing license in California, but despite the ongoing posturing, there are no indications -- from either the UFC or Mayweather's camp -- that he will step into the ring to face Mayweather. "It's fun to talk about this [Mayweather] fight and what might happen, but what commission would let that fight happen? Really, think about that," UFC president Dana White told Yahoo! Sports earlier this month. Leonard Ellerbe, the CEO of Mayweather Promotions, has also shot down the prospect of a McGregor-Mayweather bout, calling it "all a game." The UFC announced in late November that McGregor had vacated his featherweight title after failing to defend the belt, instead opting for a pair of welterweight fights against Nate Diaz in 2016 before claiming the lightweight belt by defeating Eddie Alvarez on Nov. 12. McGregor, however, disputes that he has relinquished the belt.As he prepares to take time away from the Octagon with his girlfriend expecting their first child in May, he has said he will not return to the UFC unless he is given a part-ownership stake in the promotion. Information from ESPN's Brett Okamoto and Dan Rafael contributed to this report. 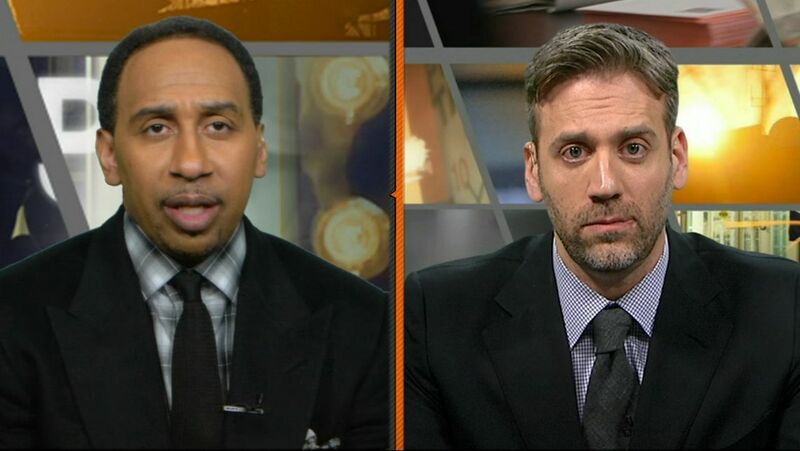 Stephen A. Smith and Max Kellerman agree that Floyd Mayweather and Conor McGregor's antics are just a tactic to drum up interest in order to land a big payday.